Searching difficulty: Finding the structure is very easy – it stands by the main road. However the place does not appear on all the maps. Driving from Kłodzko down the road no 8 for Wrocław past 42km you reach Niemcza where on the beltway you must turn left towards Dzierżoniów. 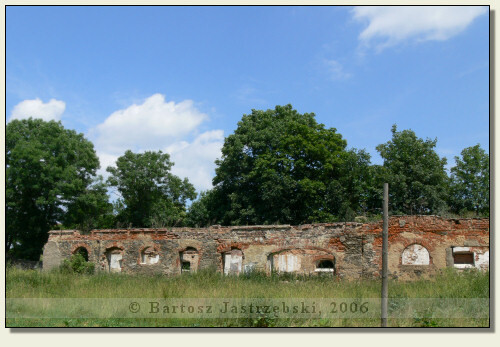 After traveling 3km you arrive in Gilów, in which you should turn right to Kietlin. 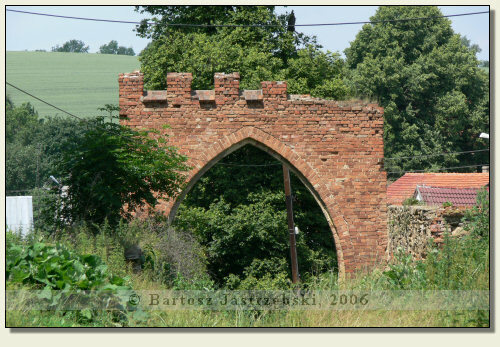 On the way there is Gola Dzierżoniowska where it is enough to follow the main road straight ahead so as to reach the castle. 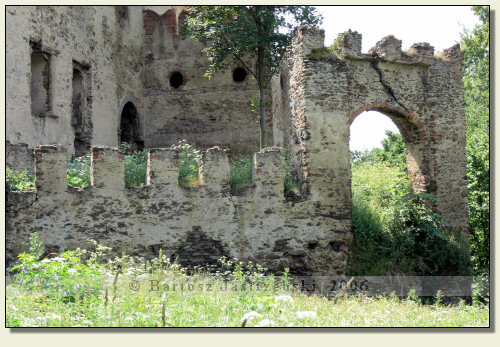 The castle in Gola Dzierżoniowska was raised in 1580 on the initiative of Leonard von Rohau, probably these grounds, however, were already inhabited in 1000. 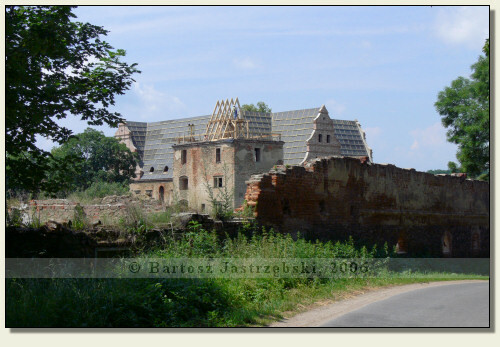 Already in the years of 1600-1610 the castle waited until the extension, and the following construction works took place at the beginning of the XVIIIth cent. For the unknown reasons the building was neglected, the proof of which was its restoration at the turn of the XIXth and XXth cent. 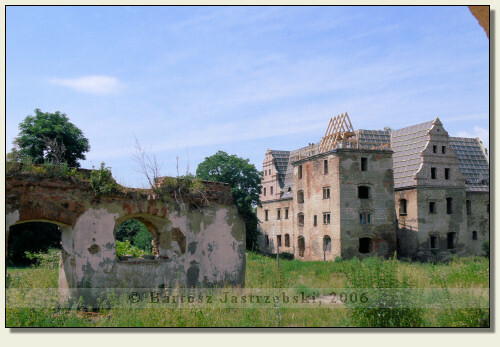 During the World War II the castle was devastated, and after its ending the last owners, von Prittwitz und Gaffron family, were resettled by the Polish government. 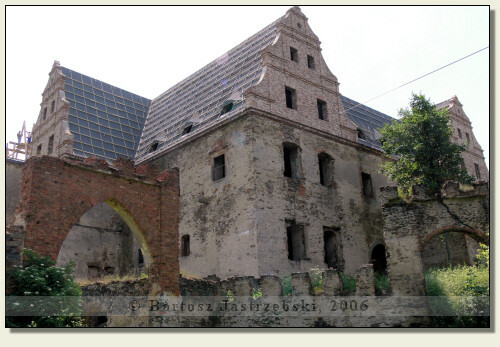 Since then the building was deteriorating. 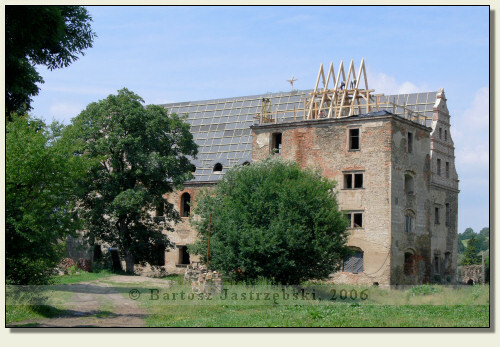 Since 2003 it is a property of Fundacja Zamek w Goli, which is rebuilding it.